Company Profile for Certified Safety Valve Repair Corp.
Certified Safety Valve Repair Corp., located in Linden, NJ, has served the tri-state area for over 40 years. 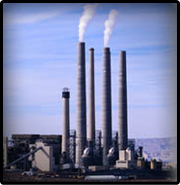 Providing service to Power Generating, Chemical and Manufacturing Plants and even our U.S. Navy and Coast Guard Vessels. Certified Safety Valve Repair has been authorized by the National Board of Pressure Vessel Inspectors, VR program to repair and certify any A.S.M.E. Section I or Section VIII Pressure Relief Device. We have been authorized as a designated repair facility by Crosby Valve, which is one of the leaders in the industry for manufacturing A.S.M.E. Section I, and Section VIII Safety-Relief Valves. Our corporation is licensed and fully insured. We have been certified by the Association of Safety Valve Calibrators, The Defense Manufacturers & Suppliers Association and the Quality Control Motivations Program, just to name a few. Our Staff and Mechanics stand ready to assist your company's maintenance needs and trouble-shooting. Any questions regarding our services, please contact us.